On arrival in the US, we joined up with the Nuffield GFP Kenya group and the Pennsylvanian Rural Urban Leadership Program (RULE), a leadership development program based in Pennsylvania. We spent time in the conference room listening to various speakers including Chris Steineger a past Kansas state senator. We learnt about the political system and the “American dream”: freedom of self-destiny, flexibility of choice and opportunities”. Like many countries, it’s a bottom up approach and citizen driven. A big point I took from the day was, the distorted message that the media purveys in this country, we only here bad things, there are a lot of good things happening but we never hear from them. Something that media has a lot to answer for globally. The president of the American farm bureau (equivalent to NFF) and a secretary of the USDA provided an overview of American Agriculture. Both departments have a massive presence, and they both agreed that water, prices and government regulation were the biggest issues going forward. While in Washington we also found time to visit the sites, the white house, Washington Monument, World War 2 memorial, the Lincoln Memorial, NZ embassy and the US Naval Observatory. California is massive, 9 million acres under irrigation, the nation’s leading producer of almonds, avocados, broccoli, carrots, cauliflower, grapes, lettuce, milk, onions, peppers, spinach, tomatoes, walnuts, and dozens of other commodities. 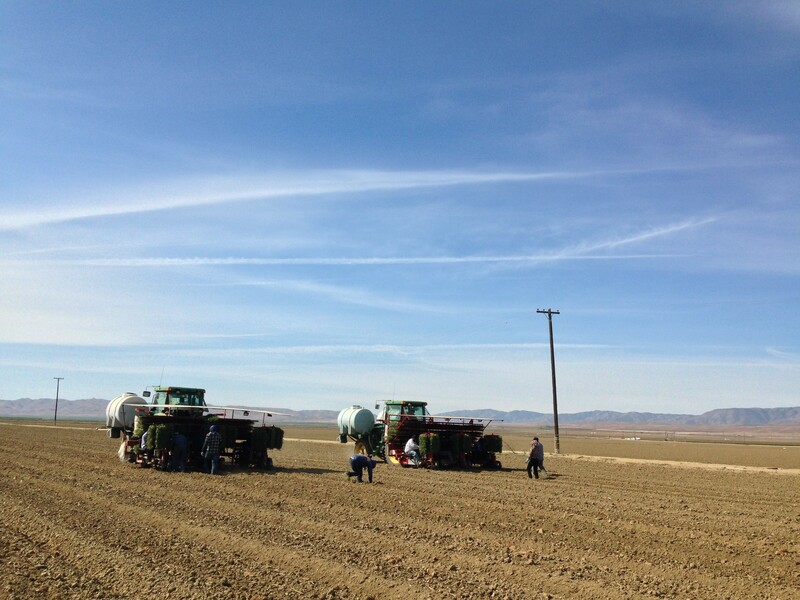 California is essentially a desert, with the average rainfall around 10 inches per year, with underground water and warm temperatures, a farmer can mimic any rainfed system. While the volume of groundwater is large and unregulated, farmers are exploiting this fact to make up the difference from a lack of rainfall. California had a record production last year, with the third lowest rainfall on record. 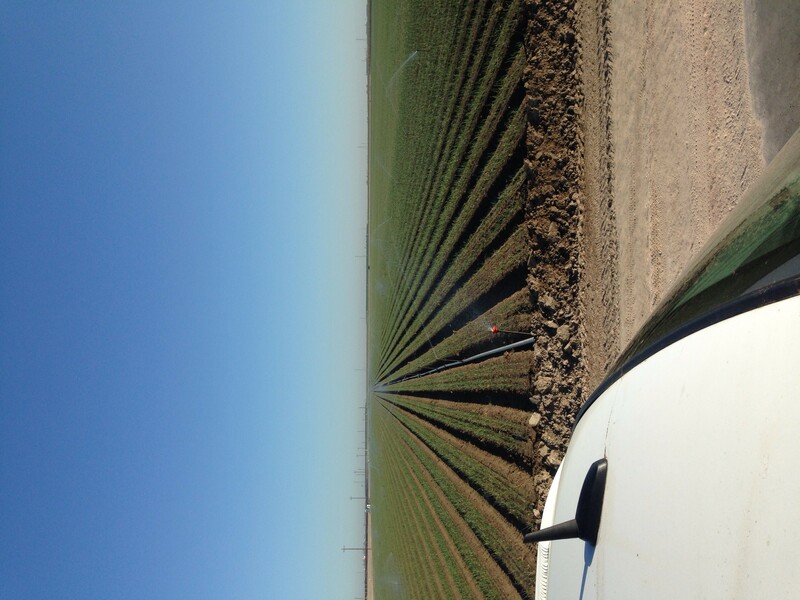 Aquifiers have been overdrawn on a yearly basis, as a result, the state’s groundwater has been depleted considerably. The Californian farmer is currently extremely profitable, the US average return is 4-6%, California is currently 30%. This is predominantly being driven by the huge margins being made in producing Almonds, with some produces making up to $18000 per acre. Although, you need to wait 3 years until the tree produces, planting is still extensive. As a result of the strong margins in California Ag at the moment, returns are relative to current land prices. Therefore, the biggest returns (on capital) are made by those farmers who bought the land much cheaper. Don Campbell from Terra Nova farms, his 5500 acre farm consists of 16 different crops, all on drip irrigation. He plants what makes him money, his program consists of organic, conventional and biotech. Like most of the farms we visited, organic crops are a business choice, not a principle (3 year program to certify organics). The property is owned by a swiss group (FI not a concern for Americans), where a profit sharing program ensures Don can run it the way he likes. He employs 65 people, the majority are Mexican. As a result, he needs to be able to speak very good Spanish. Harris Ranch continued to reveal the sheer scale of business in California. 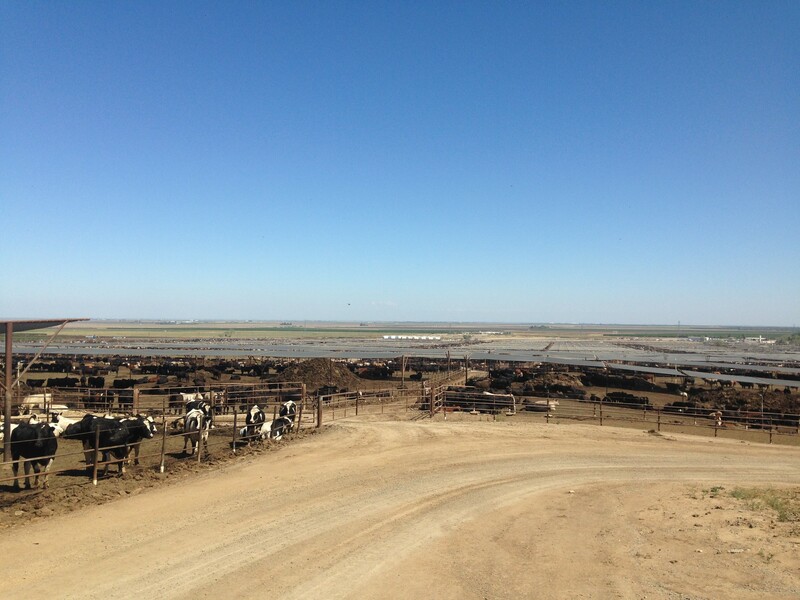 The cattle feedlot consists of 130,000 head. 1000 head leave the feedlot every day, the business is well integrated with their own fleet of trucks and finishing/packaging factory. Each cow is there for 120 days, gaining 3 pounds a day. Cows are fed 3 times a day with a rolled corn and hay ration. 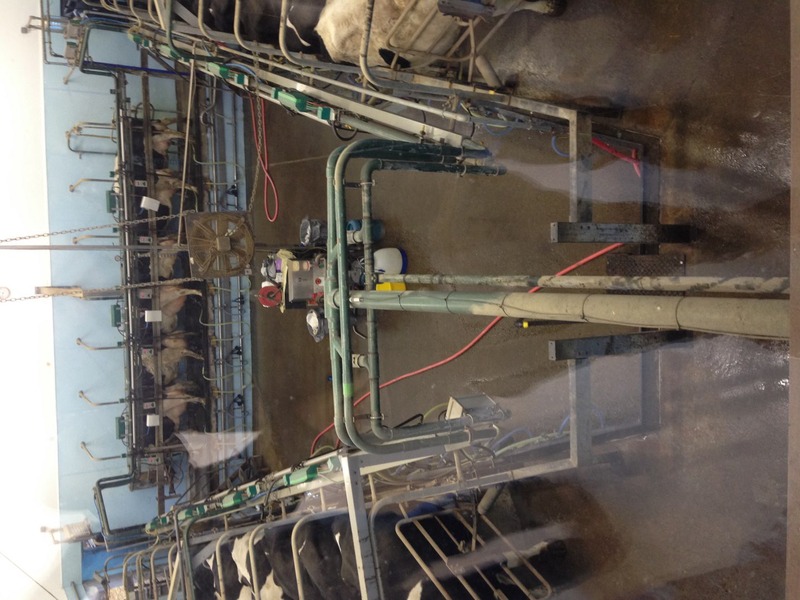 The cows were unbelievably healthy for such a big operation, their death rate was less than 1%. 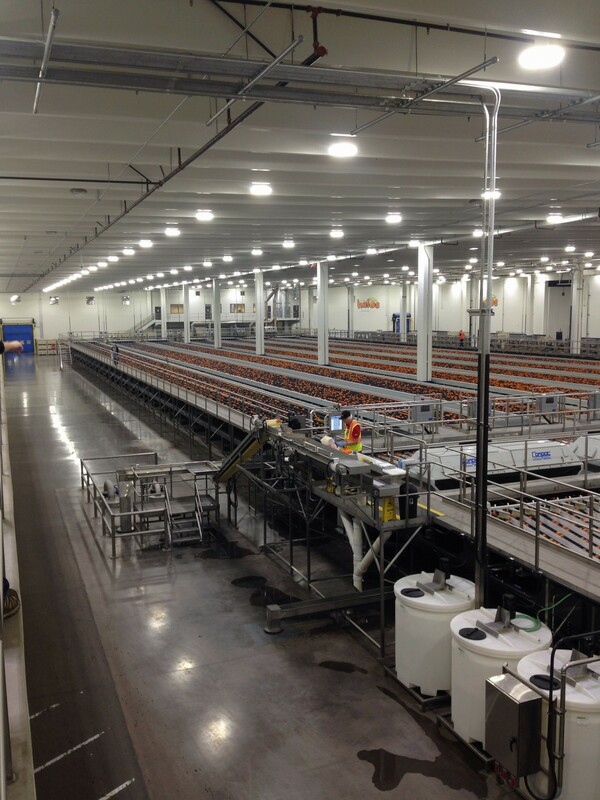 Paramount citrus, apart of a multi-billion dollar company, packages 1 million 5lb bags of mandarins daily. Grimway farms, a family owned company, its predominant source of income stems from 35,000 acres of carrots with a processing plant. 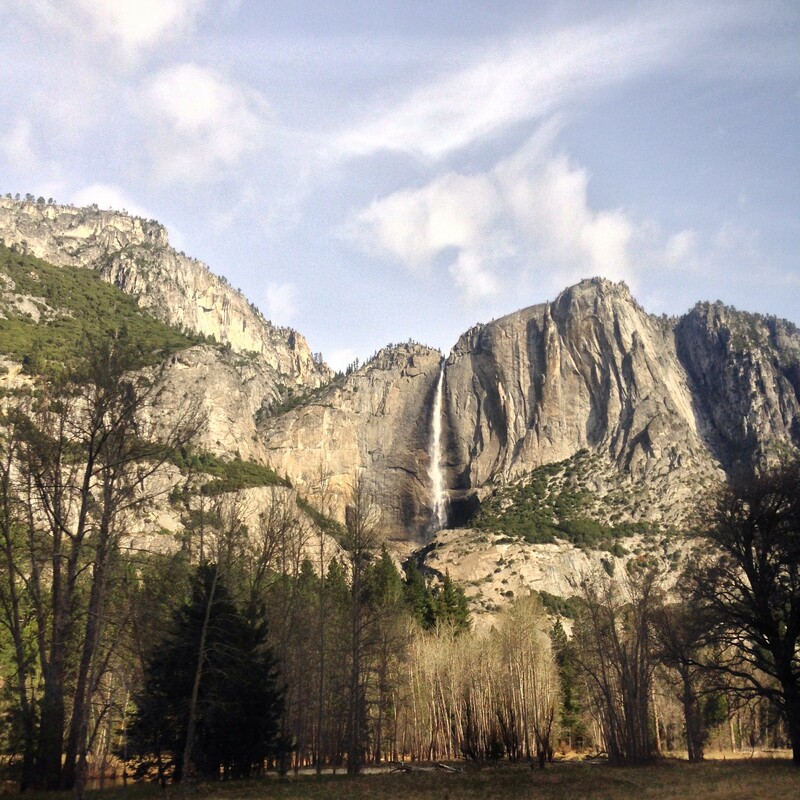 It possesses a huge geographical diversity from Texas to Washington state. This allows the spread of production risk and optimizes the use of their harvest machinery which is used all year. Like many businesses, they are losing acres to permanent crops, currently incomes from producing almonds are 5 times what carrots are making (≈18000 nett for almonds). John Guerrad the assistant GM said cheap labour was a huge factor to containing a strong cost base, the minimum wage is around $US9.25/hour.He said, ‘Margins would be difficult to generate if labour cost were comparable to a Australian standard’.Each farm consists of a manager, and every farm has a assistant with potential to grow into a higher role. The managers are provided with incentives on a production basis, internal reviews occur monthly. 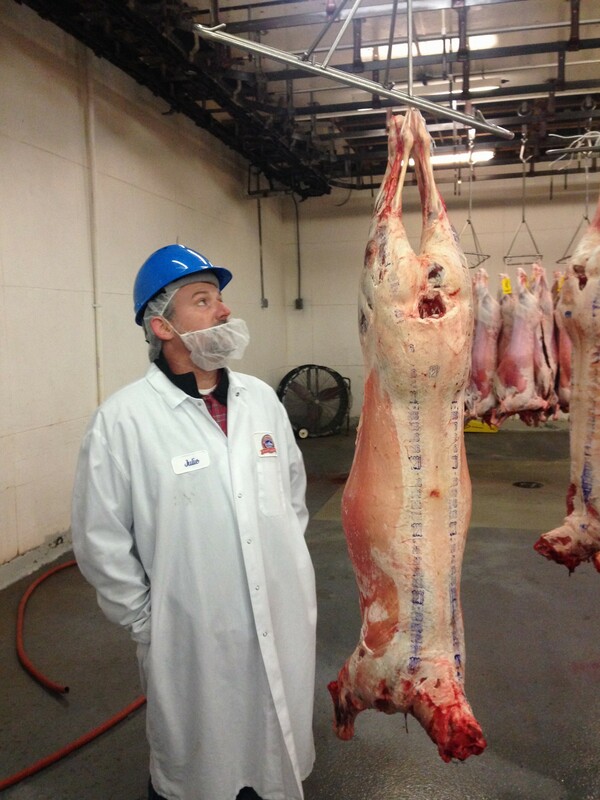 Superior farms, an American lamb processing company, the target a 31kg carcass (51% dress). Lambs are drawn from as far as the Midwest and the company controls 35% of the US lamb slaughter. Interestingly, the company is owned by their employees. The beauty of the structure is that it decreases employee turnover, and lots of staff have a tenure of over 20 years. It’s a closed market for shares and If you work for over 5 years you gain a share of the company, you accumulate shares as a function of employment (approx. 3% of salary). Employees can sell their shares if they leave the business (over 5 years) or retire. The model was pretty impressive in that it encouraged success, business success correlates to the value of the employees share value. Kill floor employees can potentially retire a millionaire. Lamb is a expensive and tiny proportion of the supermarket section, a very small portion of a dominant beef market. Dressed at 89 pounds (41 kilograms)!! Going forward, the biggest threats to this state are government regulation, labour and water. In order to protect this state for the future, you would think a industry depending on water would be fighting for its survival by addressing the core of the problem. California was the converse to what we sore in the UK, scale rules and attention to detail doesn’t need to be as high. However, with the potential water regulation down the track, farmers are going to need to be more efficient with their use of water. Innovation will be important. 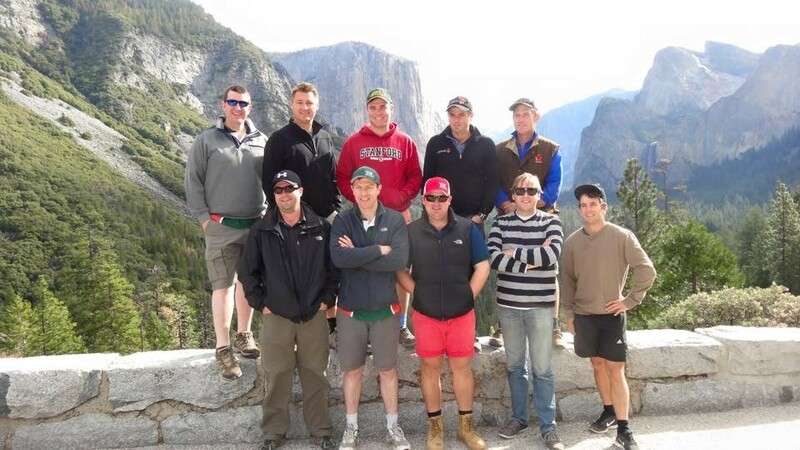 Following the Battlefields tour, 6 Australians, 2 Irishman, 1 Canadian, 1 Kiwi and a Brazilian arrived in London to begin our Global Focus Program (GFP). We were all genuinely excited to get out of the conference room and enjoy the open spaces. 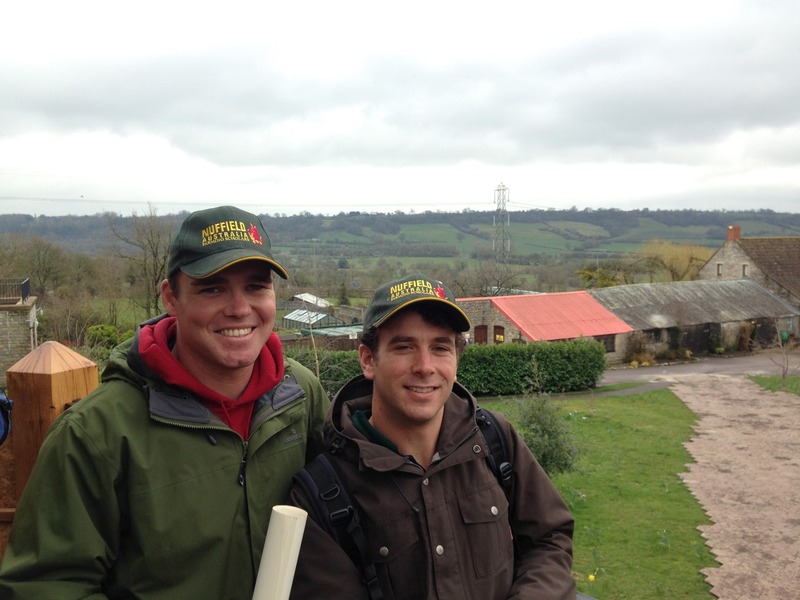 We based ourselves at Fernhill Farm on the Mendip Hills in Somerset for four days. Ed Green (2013 Scholar) was our tour guide through the UK. We visited some absolutely brilliant businesses including Fernhill Farm, Yeo Valley, Lye Cross Farms, Thatchers Cider, Micron Bio systems, Cannington College Farm, West County Grain Farmers Cooperative, Steanbow farms, Worthy Farms, Wykes Farms, Farrington’s Farm Shop, and Banks farm (Ed’s farm). Throughout the week, I continued to be amazed at the willingness of people to disclose their business strategy and what defined success to them. We asked some pretty deep and meaningful questions at times and people were more than willing to disclose their knowledge. You just can’t buy this exposure, and I don’t think it would be possible if it wasn’t for this Nuffield emblem on my shirt. Overall, I discovered that it’s a pretty tough game being a farmer in the UK. 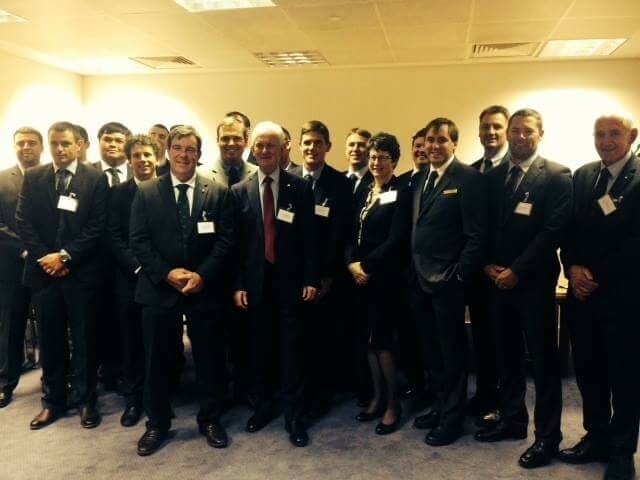 Farm regulation and compliance within the UK is extensive, inspections are constant, which stems from the fact that the majority of the labour force work in the public sector. 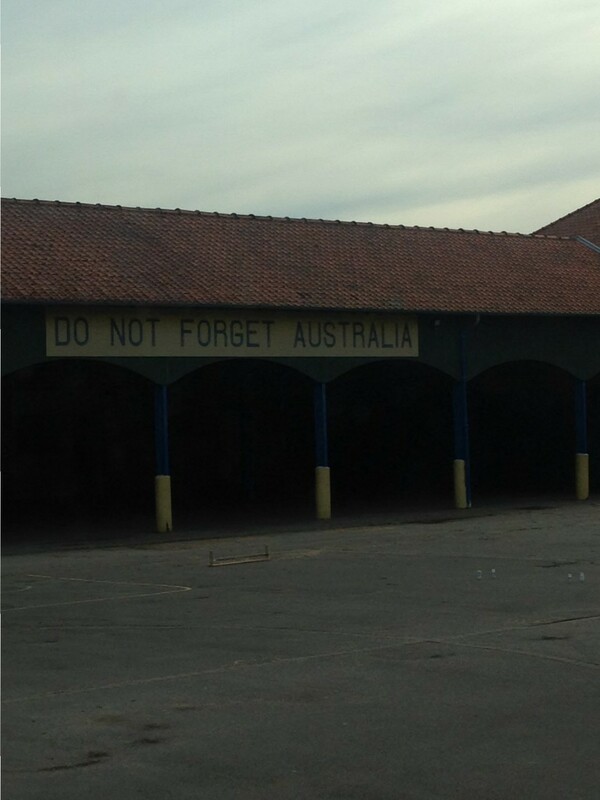 Regulation in Australia is nothing compared to this place. The absolute key to many businesses in the UK is vertical integration, skipping the middle man and controlling their supply chain. Farm costs need to be at a minimum to manage the cost price squeeze and a buffer in the system is needed to manage the unknown unknowns down the track. For example, margins in the dairy game are very small, so adding value to products are essential to making a living. Businesses such as Yeo Valley and Lye Cross Farms, take part in the whole supply chain from producing forage for their dairy cows to selling their yoghurt or cheese products in their restaurant or farm shop. Their own forage crops cater for the dairy and slurry is recycled back into the fields to almost complete the cycle. 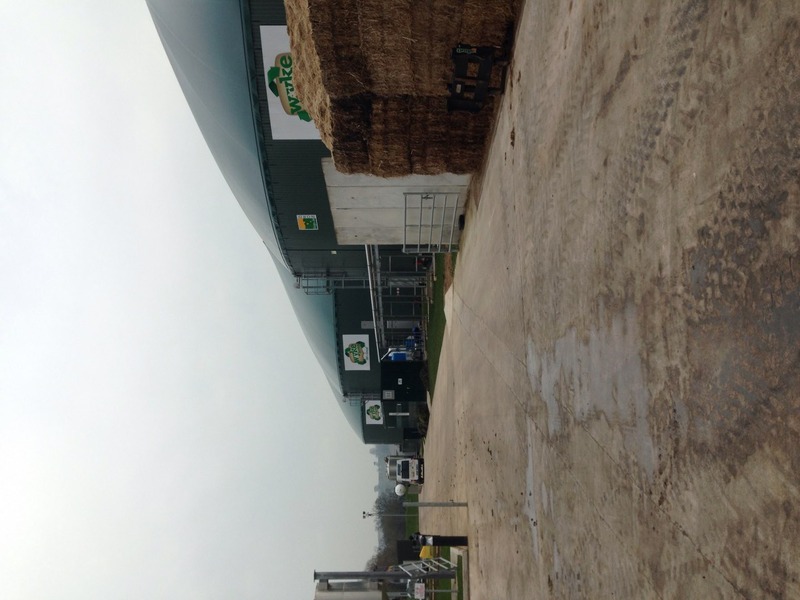 Wyke farms added one extra dimension to their integration, an anaerobic digestor, the huge investment, utilises slurry waste from their dairy, cheese company and from surrounding farms and converts it to green energy. The energy is used to run their business and the excess is sold back into the grid at a price. “keep improving by 1% all the time”. Thatchers cider produced 60 million litres of cider last year. He plans to be 10-15 years ahead of the game, “work out where your competitors are and play accordingly”. Expansion of his business continues and each year he invests the depreciation and half of his profits back into capital investment in the business. As such, embracing new technology and continual automation has decreased labour requirements and made the company a low cost producer. Management of labour was a frequently asked question and most businesses mentioned this was a critical area, finding skilled labour was challenging. 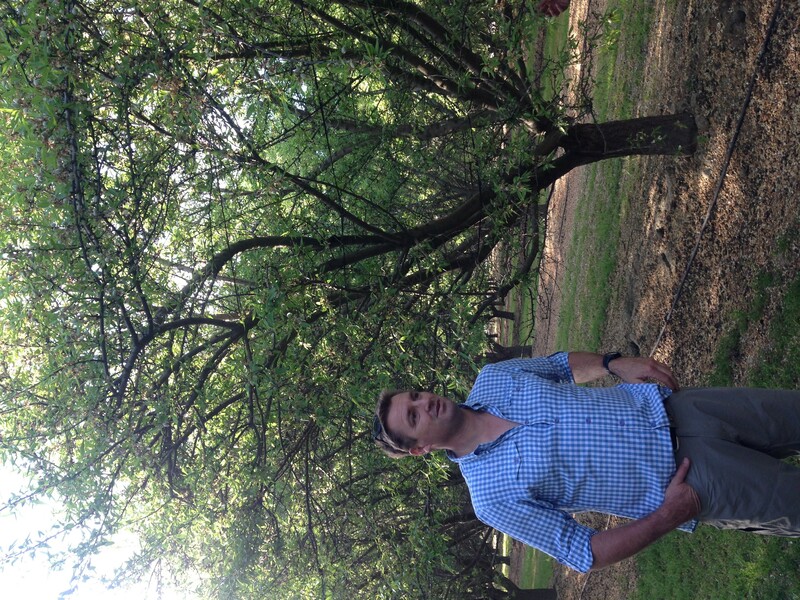 Neil Christiensen from Steanbow farms said, “employing the right labour directly correlates to my cost base”. The management structures were all quite similar; well defined, transparent, a chain of command, issues were raised with managers who were given freedom to make the right choice. For Martin, manager’s performance are managed constantly reviewed and he spends a lot of time getting to know his staff and induction days help employee buy in emotionally into the business. New managers are brought up through the business. We didn’t meet one business which didn’t have a board of directors, and only one business didn’t contain an independent director. Something that I think the family farm businesses in Australia should consider, especially if there are multiple family members working together. 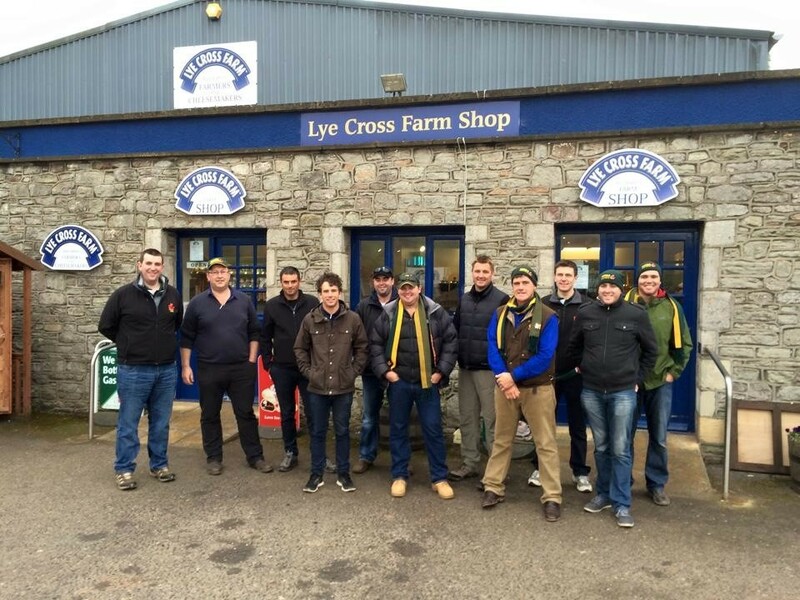 Johny Alvis from Lye Cross Farms said, “boots are more important to managers than desks”. And ownership and management don’t have to be the same thing, find the right people to do the work. For example, Lye Cross, own a contracting business which is built around a partnership with a manager, “if you can’t do it will go and find someone else who can do it”. 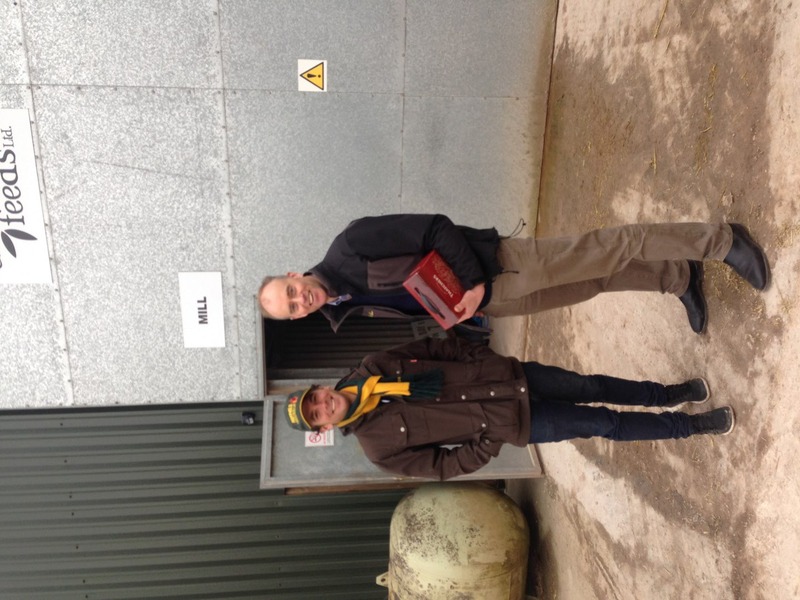 Ian Temain (2009 nuffield scholar) and myself at Anode Feeds. 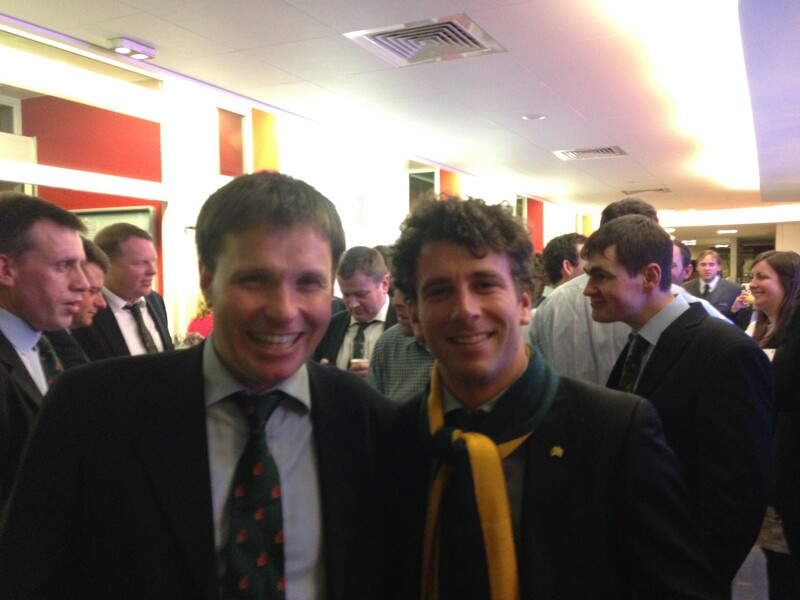 Ian was brilliant and demonstrated that utilising relationships can build great businesses. Lye Cross farms also encourage their labour force to invest in property and they help with the funding process at some level, this then helps to encourage loyalty and permanency with that worker. Most businesses we visited were family orientated which reinforced the fact that family farms are the most successful businesses around the world. I think a corporate structure would struggle in the UK because the attention to detail in all areas is necessary to control costs. Despite the varying challenges that all these businesses had, a strong business direction was established and if you had the right people around you, anything is possible. In the end, passion was the key driver to business innovation and success, passionate people find a way to be successful regardless of the challenges they face. 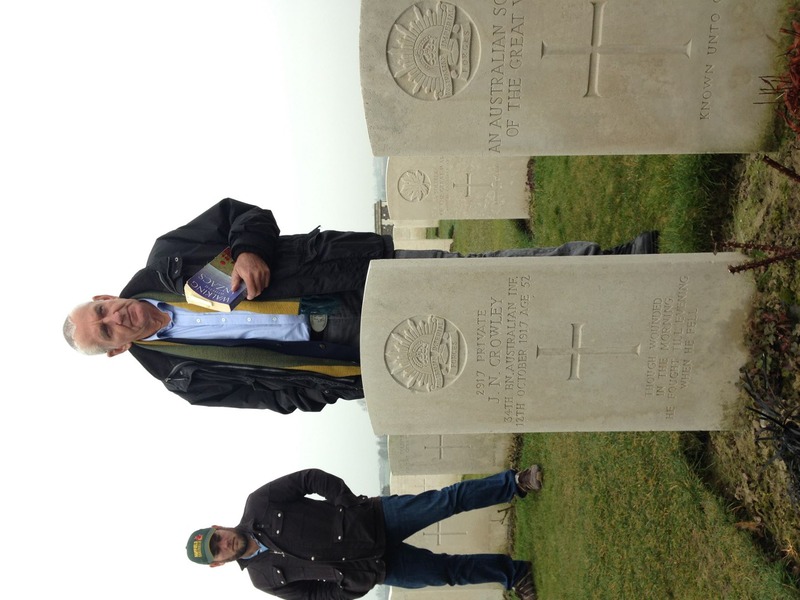 Following the CSC, we spent a few days on the Battlefields tour organised by Jim Geltch. 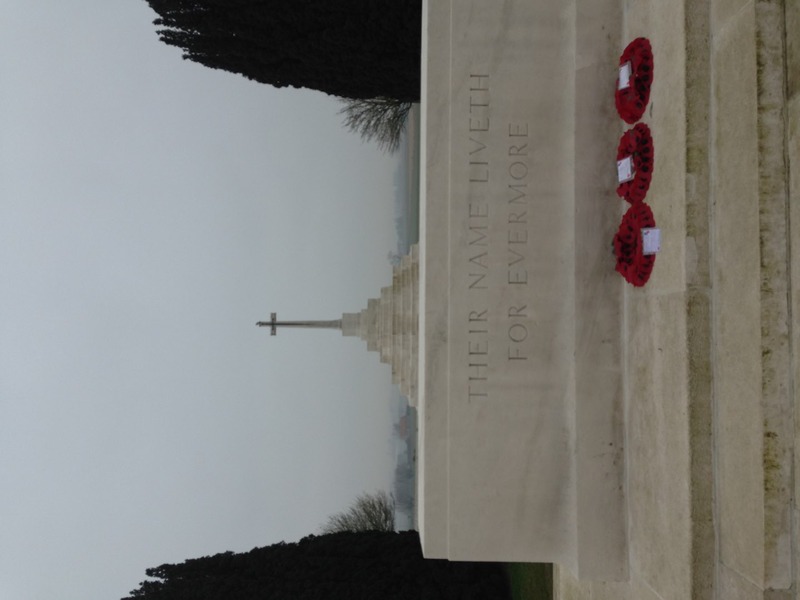 On day one we visited Villers Bretonneux, the battle of Le Hamel, the Australian National Memorial and Adelaide Cemetery. Day two was busy, visiting Lochnager Crater, Australian 1st Divison memorial at Gibraltar blockhouse and Mouquet farm in Poziers. Visited Beaumont Hamel, Theipval, Longueval, Vimy Ridge, Messine Ridge and a British cemetery where Rob Webb’s great uncle was buried. 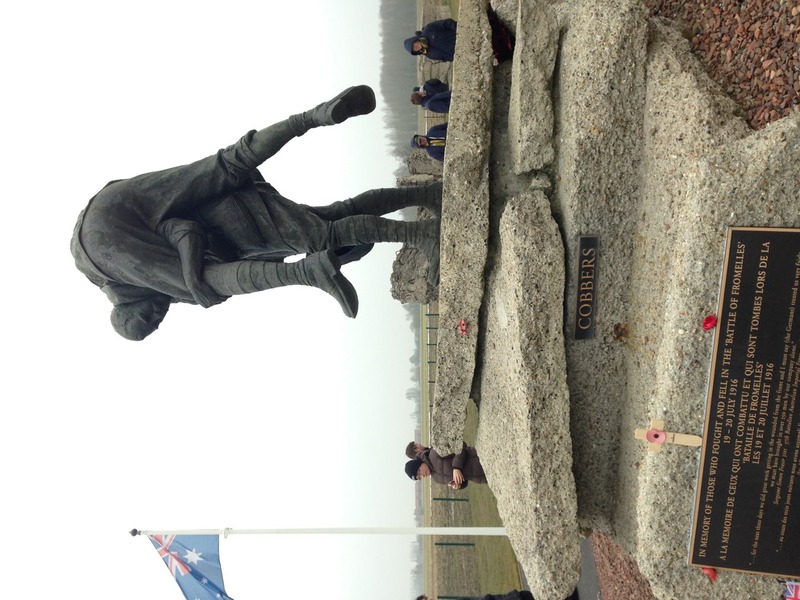 The final day saw us visit Polygon wood, Paschendalle, Fromelle, Bullecourt and Mont St Quenton. The Australian army entered the western front with a force of 180,000 (three times more than Gallipoli). The troops won underlying fame in the battlefields during that 3 years of war. 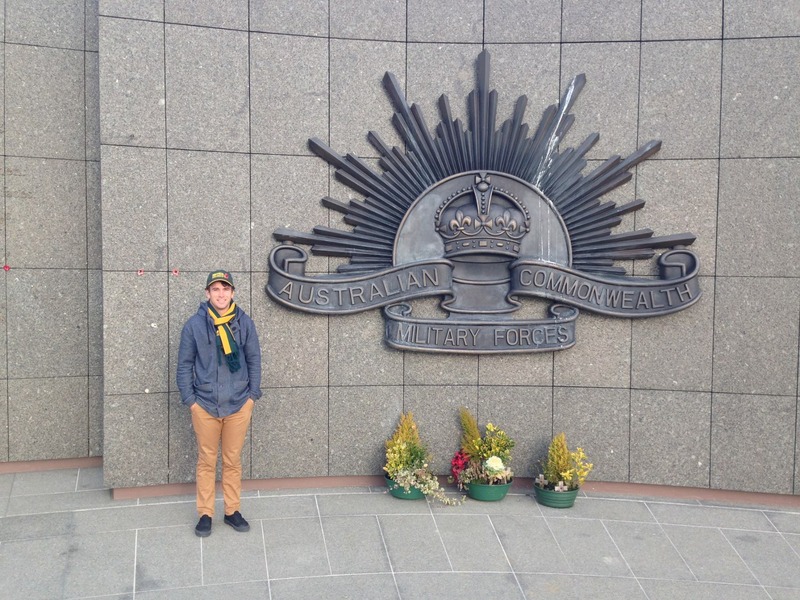 60,000 Australian were killed in the war. 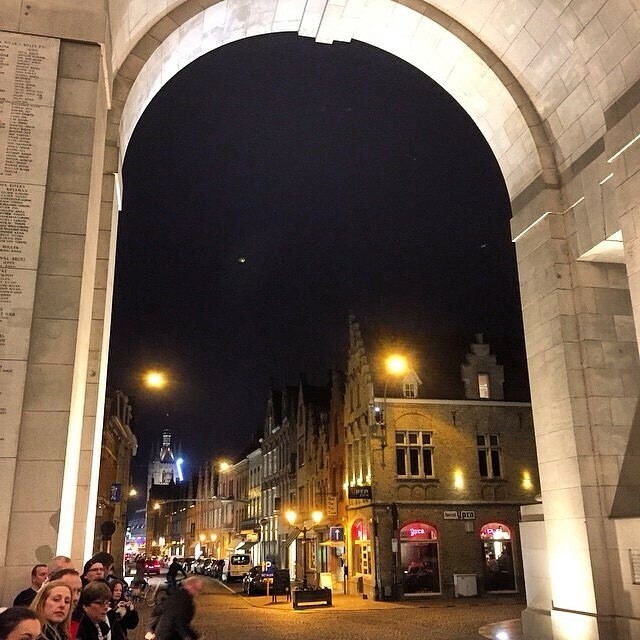 From a population of just 4.5 million people 313,000 volunteered during the war, 65% of these became casualties. 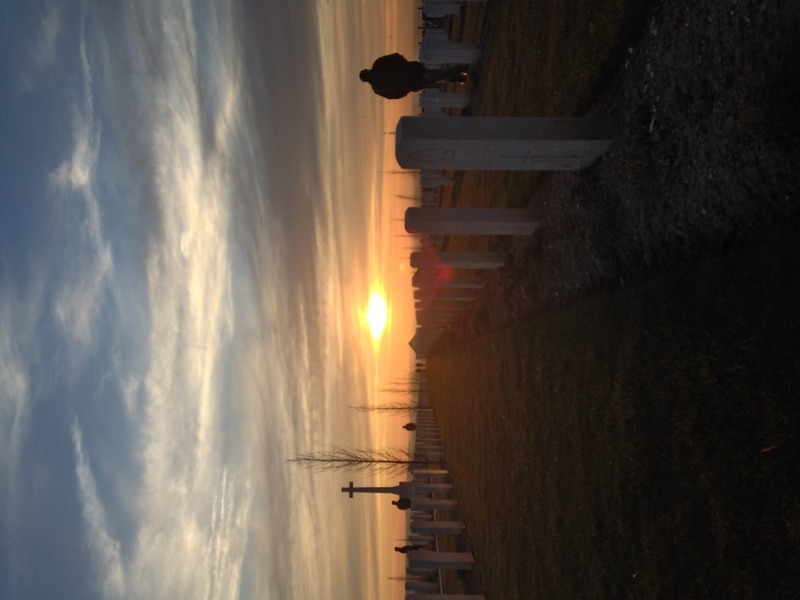 It was a pretty sobering few days, everything was put into perspective. The whole group left the tour in aura of how lucky we really are. 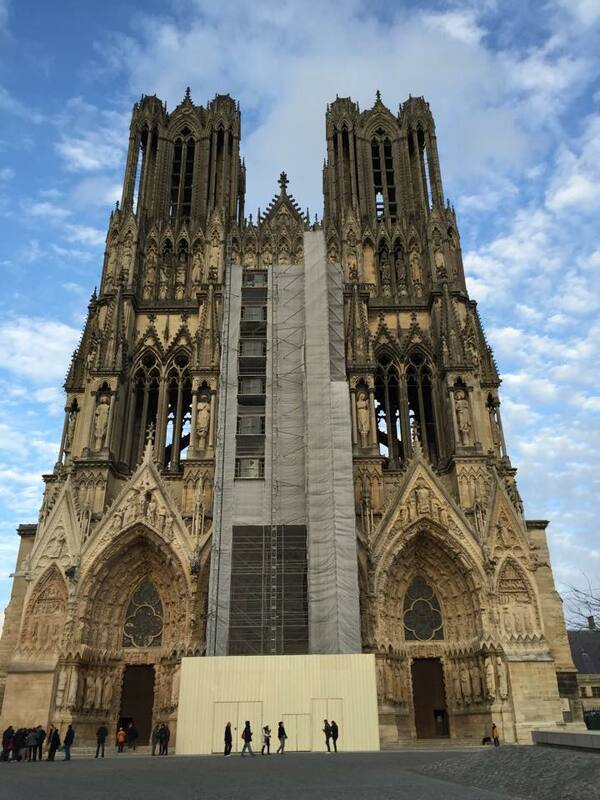 The CSC took place between the 1st and 7th of March in Reims, France. 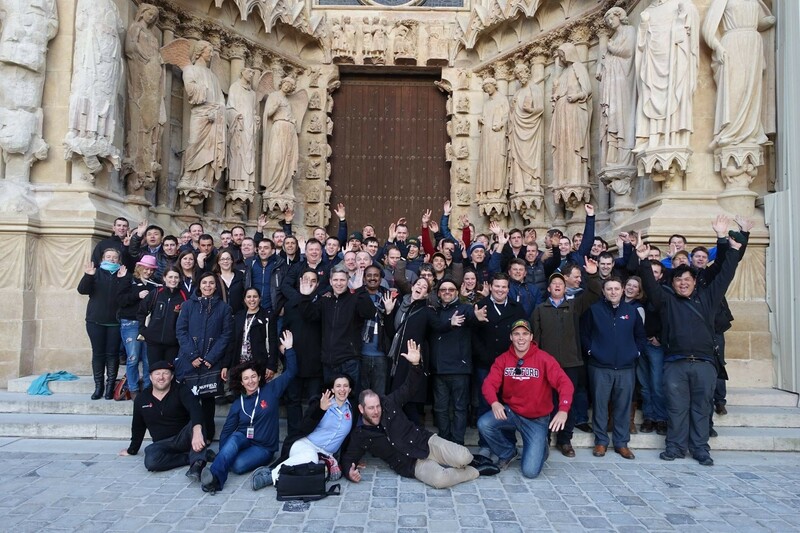 75 scholars from around the world gathered to exchange and share their knowledge from respective industries and countries. Each day various topics were covered such as communication, innovation, big data, leadership and by the end of the week they were all linked together. To me the conference itself was ok, some of the content lacked bite and speakers which required translation from French to English became difficult to follow. It was also a little disappointing that we didn’t spend more time in the fields, because after all it’s not often that you spend a week in the heart of the French countryside. Nevertheless there were moments of gold, moments of inspiration from the speakers and current scholars presenting their opinions. Regardless of the content we were really challenged to think deeply, to share and take a step to take a broader view of agricultural issues. Edwin Van Raalte from Rabobank opened the day, outlined the opportunities and challenges global agriculture faces going forward. The challenges going forward – producing more with less and avoiding the next GFC. Every minute, there are 158 more mouths to feed, of which 154 in emerging and developing countries. By 2050 we will have to double the amount of food with half of the resources. The third biggest pollutant in the world is food waste. The world is losing 1% of its arable land annually due to desertification and urban sprawl. Europeans are paying more for maize and oilseeds to produce ethanol rather than food. In Australia, farm size and scale always important, but there are few big farms making more than a 5% return on capital. Family farms are the most successful around the world. We can only produce less with more if we continue to innovate. Average age of the farmer owner is too high, difficulty with young farmers entering because of high land prices and social devise. We need to sell the investment over the next 20 years, not over a one year period. Farmers will always be price takers unless they organise themselves better. Farmers in Europe receive a payment from government every year regardless of production performance, this isnt encouraging farmers to produce. Requirements include a diverse crop rotation, ecological focus area (paid to do nothing), equivalence measure. The majority of European countries support the direct payment to farmers. CAP locally encourages expenditure and economic activity. CAP is providing certainty to the farmer, however it’s not encouraging productivity, as such wheat yields have plateaued over the last 10 years. The CAP is reducing the need to innovate, it’s a social policy. Perhaps the CAP reduces the need for the EU to reach its production potential, which is good for Australia, because EU consumption is flat and Australian exports compete with the Europe for export destinations (eg Asia). French agriculture is in a good space, great land, high yields and great quality. Food is a big part of their culture, small farms are very well supported. In my opinion, French and European attitude isn’t as profit driven compared as other countries. I believe tradition and their lifestyle takes precedence over expansion. The start of Day 2 involved a SWOT analysis for each and every agricultural industry in the room. We were all grouped accordingly and findings were shared. The most compelling finding was that there was huge similarities between all industries/countries and their challenges faced. Labour issues seemed to be the biggest across all agricultural sectors. We learnt and visited the competitiveness industries and agro resources cluster. It contained a wheat and sugar beet refinery, ethanol plant at a huge scale and all by products were recycled. It was pretty impressive and showed brilliant vertical intergration across the supply chain. The cluster evolved around a number of farmer co-operatives and private entities. It was encouraging to see that the co-operative business structure working, this is on the contrary to the Australian experience. Smaller world: Neil McGowan (Scotland) and myself. I discovered that Neil’s uncle was my neighbour in South Stirling not long ago. Unbelievable! The highlight of the week came on thursday, Frederic Thomas, a French arable farmer single handedly made me question my whole agronomic system. Frederic, provided an explanation around conservation agriculture (broadly defined as mimicking nature). About two thirds of the EU is still ploughing. Soil regeneration is required, in France the utilisation of cover crops is providing the answer to this. 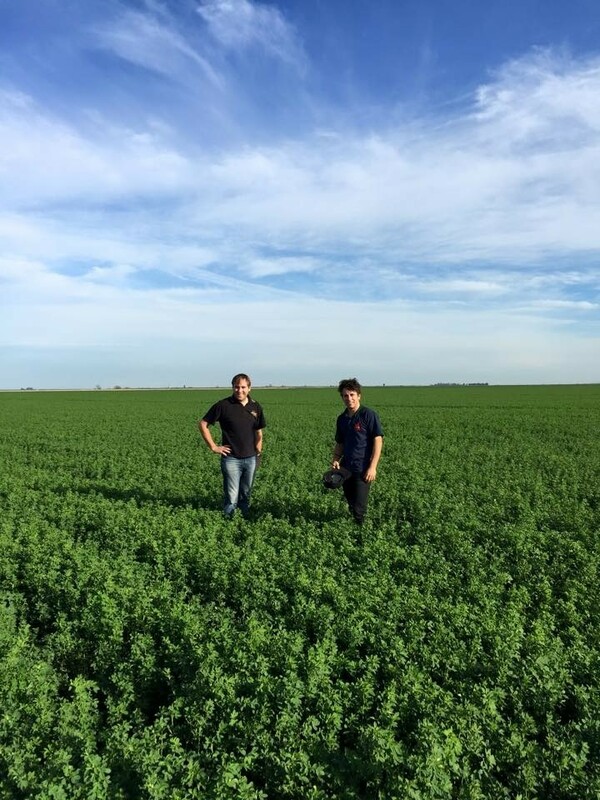 Frederic receives 800mm per year and is able to convert this extra water into nitrogen and carbon by growing legume cover crops during the summer month. Cover crops provide an extra energy source for soil life, manages soil temperature (big factor), improve soil structure, provides cover, manages weeds ecologically, encourage above soil life, reduces seed costs and provides diversity in rotation. He has also introduced livestock into the system to help to manage stubble residue and decomposition. The only problem is cover crops may induce early N deficiency however the return on investment will pay off in the long run. Changing the system is very difficult for some, hence why traditional practices are still very common in Europe. 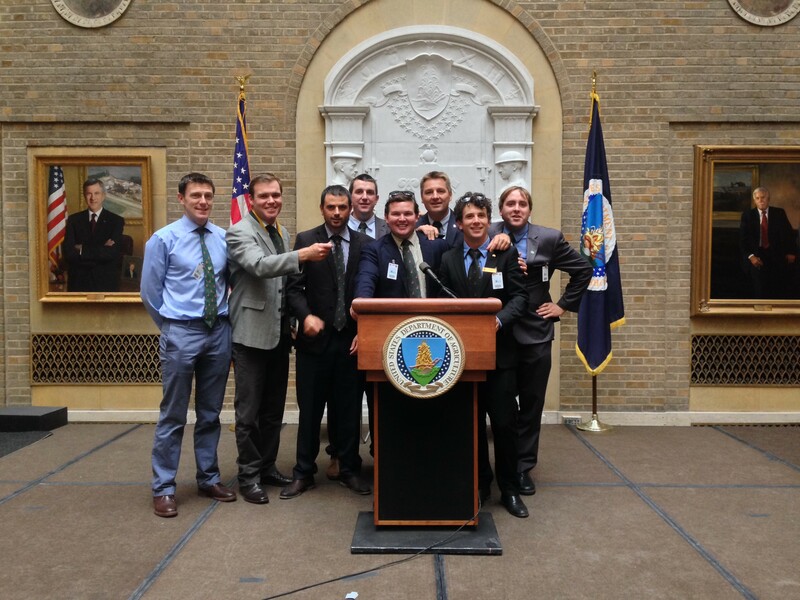 Overall, Frederic provided a game changing approach to soil management for many systems. Could I do this at home? I doubt it, but it has me thinking. The other two speakers on this day covered biotechnology in plants (GMO) and genomics in animals. There was a large amount of negative perception and uncertainty when GM crops were discussed. For this reason, I think it will be a long time until we see GM crops grown freely in the EU. 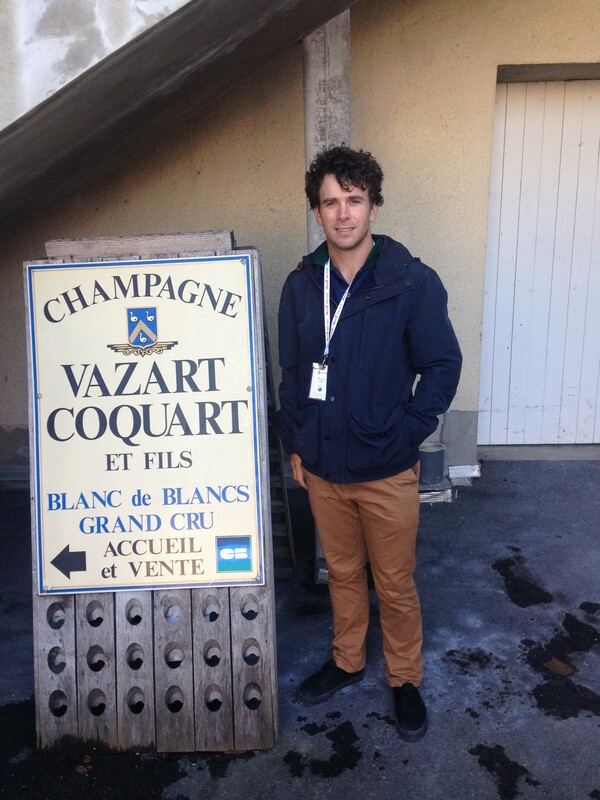 On Thursday afternoon, We toured a traditional champagne winery, Vazart. Day 5 revolved around leadership. Assets of a leader include honesty, integrity, ability to delegate, confidence, commitment and the ability to inspire. Innovation distinguishes between a leader and a follower. An example of leadership came from Michael Ehmann, president of Nataïs, his business specialised around the production of popcorn. He identified a niche market and vertically integrated his business from a seed breeding program through to packaging popcorn. Joint ventures and utilising relationships enabled him to have complete control through this niche market. Which makes me think, what is your niche market? He produced 950,000t of popcorn per year and spread his production risk to France and South Africa. During his expansion there came a point when his management system was failing, he was managing 30 people and lost a bit of control, “people needed more structure in the company.” He restructured the whole business, he hired a general manager followed by a management team. Despite some lost efficiency, the business changed from a small business to an industrial company. All his managers are schooled through the company, where he transmits his vision about the business. He now gives them the freedom to make the decision. A lot of time is invested in communication as he now employs over 100 people. One of many great quotes that came from an enjoyable week. Overall, the greatest aspect of the conference was the networking between current scholars. The group of scholars were so diverse and from different countries, cultures and industries. 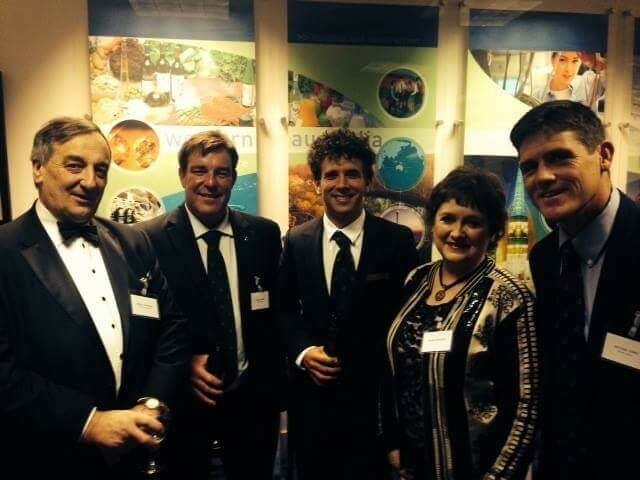 Despite the contrast, we all had one thing in common, a huge passion for agriculture and community. I learnt so much from their experience and knowledge and I hope they did to. 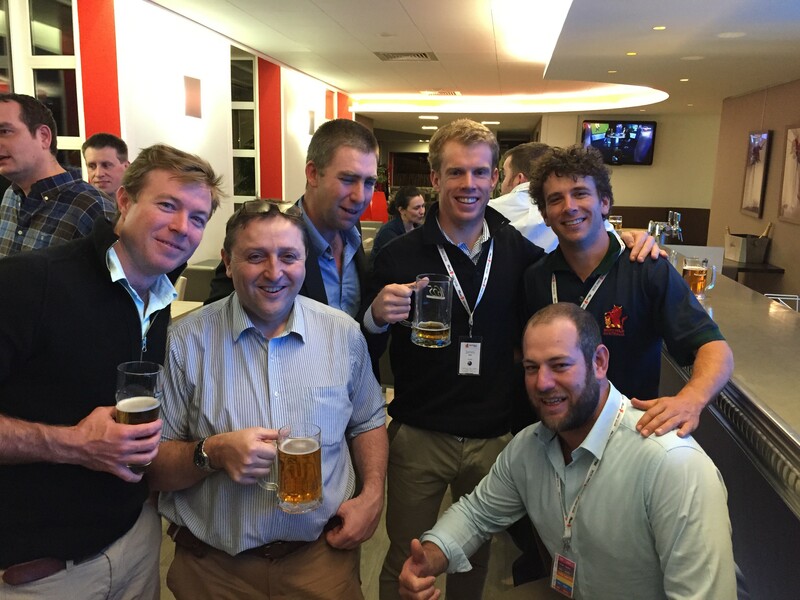 Along the way I have gained some outstanding contacts for the year ahead. One last dinner with everyone at G.H. 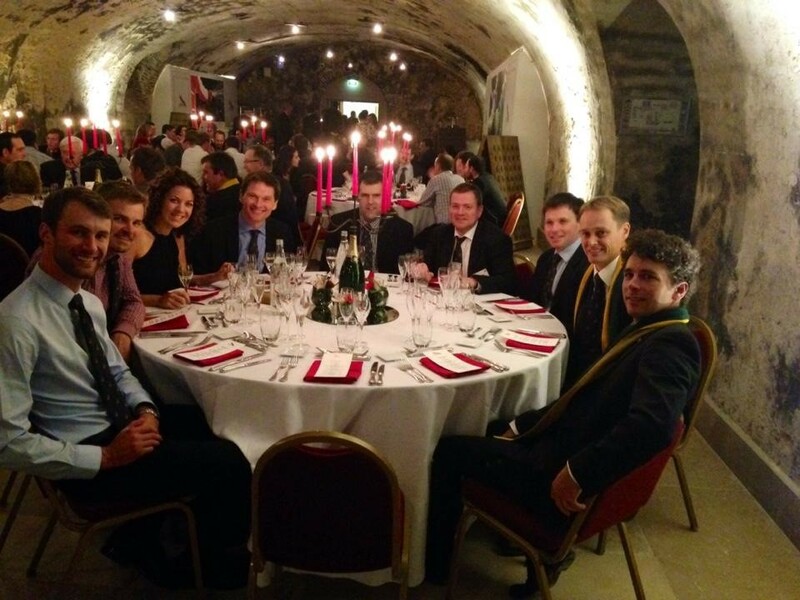 Mumm, one of the largest champagne producers. What a privilege to be a part of an amazing journey. It’s been 7 days since I left the farm to begin a journey of a lifetime. The first few days were difficult being away from the farm, missing out on the day to day activities, breakdowns and challenges faced. This is going to be the most difficult challenge throughout my 16 weeks abroad this year, being away from home. I shouldn’t be worried though, the farm is in capable hands of an incredibly driven, experienced and inspirational father. In the long run, 16 weeks isn’t that long, I have got at least another 30-40 seasons left in me. Furthermore, findings from my travels, people I meet and the knowledge gained from others could potentially make life a lot easier for the family business going forward. I arrived in London last Wednesday, I spent the day catching up with old friends in London and joined the Nuffield gang for dinner that evening. Thursday was busy with meetings and briefings on our upcoming Global Focus Program (GFP). Our GFP group took part in some behavioural personality tests using the DiSC analysis. I had never done this before, and honestly my results were accurate but confronting, something that I will have plenty of time to reflect on over the next 6 weeks. We also gained insight into the results of our GFP group, which is quite unique, we gained an understanding of the way they work and how they respond to pressure, before we really get to know them. That afternoon, we had a representative from Austrade Brussels speak with us, who outlined the European Agriculture and CAP farm subsidies for Europe. The policy from an Australian farmer seems crazy, 17-19% of farm income comes from farm subsidies (OECD). I think debate over this Policy will bring ongoing discussion especially when we get a better understanding of the Farm Bill in the US in the weeks to come. We were all up early Friday morning to travel to Paris. 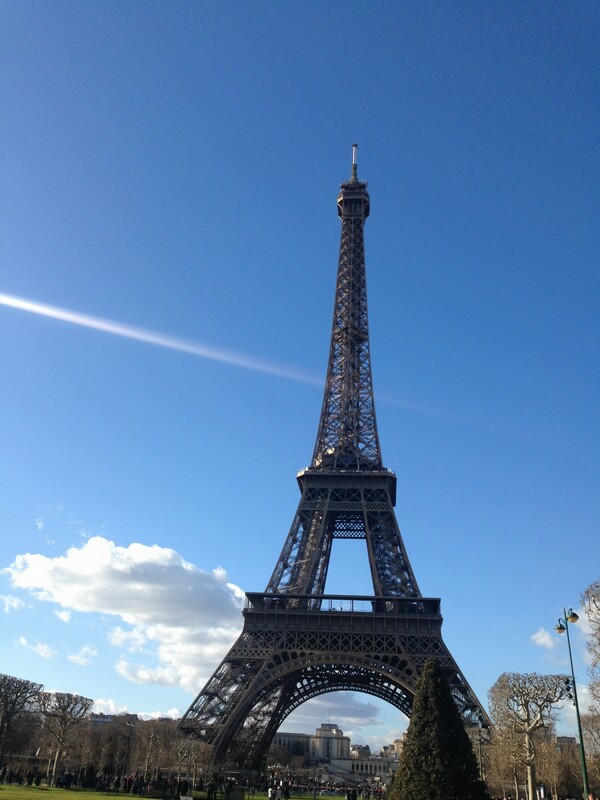 On arrival in Paris the sun was out but still a fresh 8 degrees. We spent the afternoon touring around the sites of Paris with other scholars. I was here in 2008, but still it was a nice reminder of how stunning Paris really is. 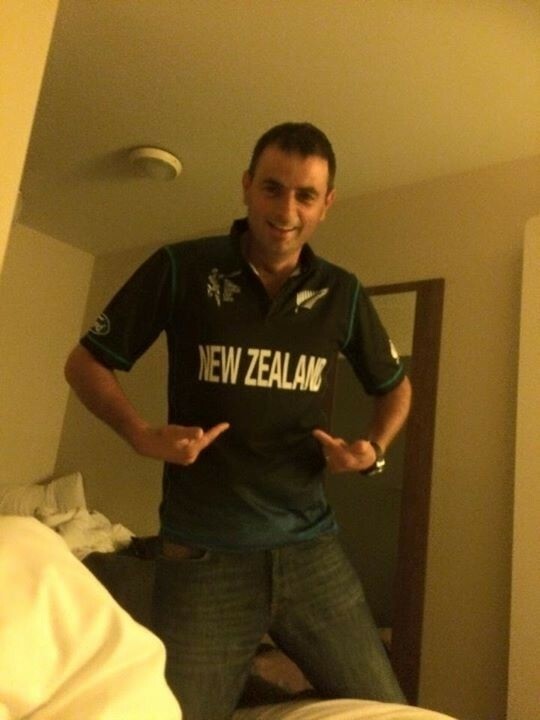 Saturday morning was extremely difficult, discovering that New Zealand had beaten Australia in the World Cup. 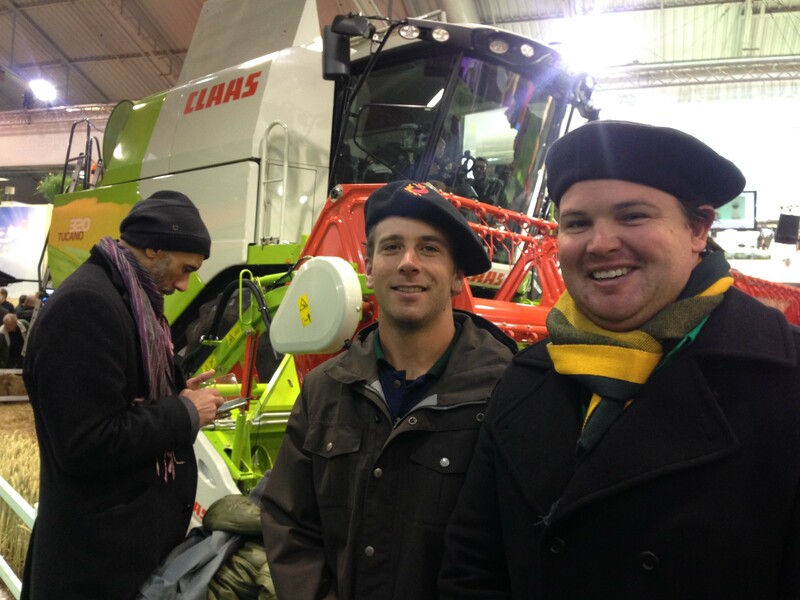 We spent Saturday at the Salon International de l’Agriculture (International Agricultural Show) in Paris. This show is highly regarded and attracts over 700,000 people over 9 days each year. I had never seen anywhere like it, the French general public were so enthused to learn about agriculture and its importance. 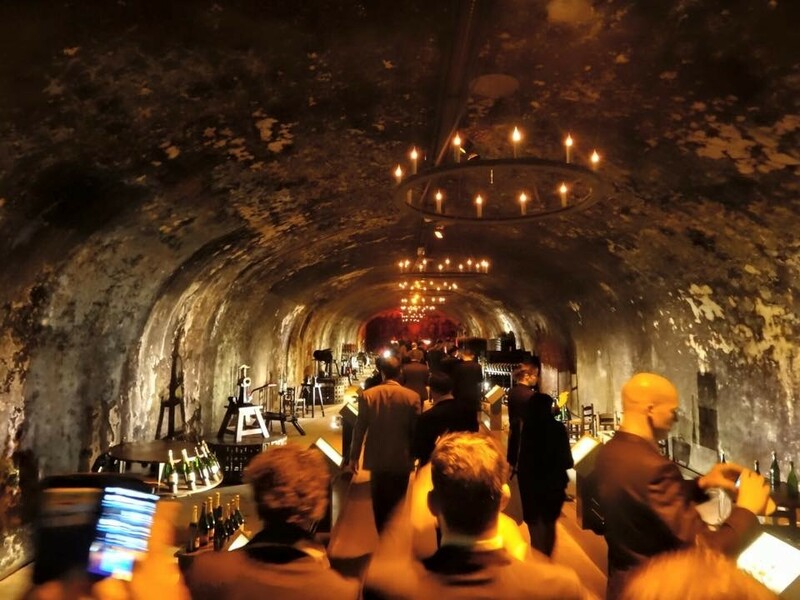 It was brilliant, great marketing and such a event would help to clarify the future of agriculture in France and the world. I think the answers to such questions will be a lot clearer by the end of the week. Farming on the south coast of Western Australia, working alongside my inspirational parents, Derek and Kim, the legendary Max and our merry men. Farming Canola, Barley, Wheat and Livestock. I am about to participate in a 16 week Nuffield Scholarship around the world to study, management systems in broadacre farming. Established in 1947, the Nuffield program resulted from a legacy from William Morris (later to become Lord Nuffield) of the Morris car company. 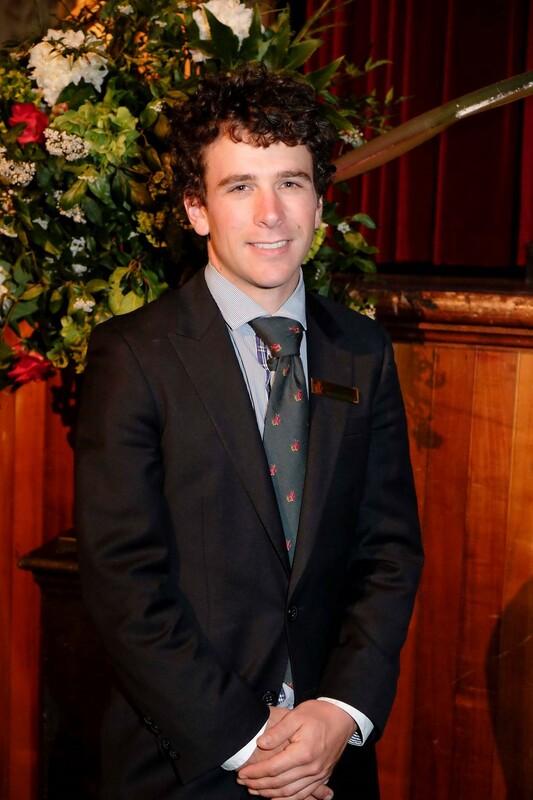 Nuffield Scholarships were awarded to 26 Australian Primary Producers in 2015. The scholarship program provides leading primary producers with the opportunity to travel overseas to increase their general knowledge of global agricultural issues and to gain skills to benefit their industry and business.